In the digital marketing world throughout the years nothing has been as powerful as content marketing to drive targeted visitors to your website. In 2014, things have not changed that much. Internet marketers have discovered how powerful content marketing has become if used in tandem with social media. The two combined lets you connect with your audience in such a way that enables you to build up a reputation as an authority in your niche, which in turn has proven to give a greater ROI. If you want to be successful at Internet marketing in 2014 and in the future you have to make sure your website has a responsive design. The introduction of smartphones and tablets into our everyday lives does not seem to be slowing down. It is estimated by the year 2017, our smartphones and tablets will make up 89% of all online sales. If you want to prospects to engage in your online business. It is imperative that you provide them with a user experience that allows them to navigate your website on all devices. To do this, it must have a responsive design. Choosing a specific topic to write about can seem like a fruitless task if the web is over saturated with outdated or unoriginal content. 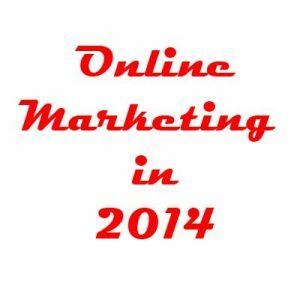 This is where the power of video marketing has taken over on 2014. With a well optimized description page your video can hit the first page of the search engines within a couple of hours of upload. Having said that, if you are going to put yourself out there as an authority, you need to make sure that your video is of the highest standard. No matter what type of marketing you decide to go with in 2014, make sure that it is original, it is engaging, and it will help your prospects achieve their goals and gives you a great ROI. This is a guest post by Meir Bulua. Meir Bulua is a CEO of web strategy and custom application development company.